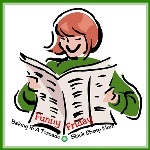 Today’s post is September’s Funny Friday, a regular feature published on the last Friday of every month. Funny Friday is a collaborative project. Each month one of the participants submits a picture, then we all write five captions or thoughts inspired by that month’s picture. 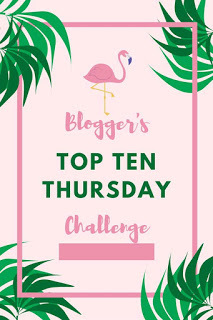 Links to the other bloggers’ posts are below, click on them and see what they’ve come up with. I hope we bring a smile to your face as you start your weekend. 1. Wife to hubby: I do not care what you say, I can make it fit in the box. Hubby to wife: It isn't going to fit. Wife to hubby: One day you will learn not to doubt me. 3. I actually sat down to finish this post today, and the first thing I thought, when I looked at it, was the conversation I had with my daddy's friend last night. He is helping me with keeping my dad's place secure until I get there. Part of my dad's place, is his huge garden. The last of the crops are being harvested yesterday, and today. I asked his friend to keep what he wanted, and to give the rest away, to anyone who may need or want them. My dad has the most amazing green thumbs. He could raise produce gardens and flower gardens, unlike any others I have ever seen. He did it partially to feed himself (and me, when I lived with him), and mostly to be able to give away tons of fresh produce to people who needed them. It was one of the things I loved about him most. His friend asked if I wanted anything for myself, and I told him no, the only exception would be if there were a watermelon. I would definitely love to have one for Gigi. Unfortunately, there weren't any, but that is okay. I will tell you though, no watermelon I have ever eaten, has compared to the ones I ate growing up, that my Daddy grew for me. He raised the sweetest, juiciest watermelons. 4. The aftermath of the latest math word problem. Johnny did have forty watermelons, but at the end of the day, after eating thirty nine, he had only one left. 5. As you may have guessed from my number three, and you knew if you follow my Facebook page, my Daddy passed away this week. We will be headed to Wyoming in the wee hours of Saturday morning. I will be somewhat scarce on here, as I have so much to do, to get everything settled. It is so weird the things you remember, when you are suddenly searching all your memories. I keep remembering this day, we were at a corner store (in most places, you go in, buy your stuff, and leave, but not at corner stores in North Carolina), and my daddy was running his mouth with his friends, and I was sitting on the hood of his car, eating a juicy watermelon he had picked for me. I had just moved, and had started at another school, and I had lost touch with my BEST friend Shannon. Well, as I was sitting there, watermelon juice dripping down my chin, thinking about how watermelon season was the best, I looked up, and there was my Shannon and her brother Brian. My dad ended up meeting her parents that day, and she was right back in my life, as she should be. Her parents and my dad, ended up being the best of friends, and well, Shannon and Brian are my sister and brother. Period. It was funny, because my Dad had wanted to go somewhere, and I had begged him to stay at the store for a bit, so I could enjoy my watermelon. That watermelon led me back to my Shannon. Did I mention my Daddy grew the best watermelons ever?! I almost did not participate in this Funny Friday, because I knew I would not be able to find my funny. I just knew that my Daddy, the eternal clown, would have loved Funny Friday posts, and he would want me to finish whatever I start. So, here is what I was able to summon up for you. I am sorry it is lacking in the Funny department. I hope you all have a wonderful Friday. Today’s post is September's Use Your Words project. This is how it works: participating bloggers picked four to six words or short phrases for someone else to craft into a post. All words must be used at least once and all the posts will be unique as each writer has received their own set of words. That’s the challenge, here’s a fun twist; no one who’s participating knows who got their words and in what direction the writer will take them. Until now. When I saw these words, I was drawn to the word sordid. I am not sure why. I decided that I needed to tell you all a sordid tale, even though I really don't have any to tell, but I figured the least I could do, was push the envelope a bit. Venture out of my safe zone, and tell you guys something that was maybe a tiny bit sordid. So, then I started writing something out, I got quite a bit of the post's body written, and then I decided to scrap it. Then when I realized it would mean I would have to write something from scratch again, I almost just went with what I had written. The truth was, it was not that far out of my comfort zone. It got me to thinking about myself, and my secrets, and things not many (if anyone) knows about me. I briefly imagined posting a sign saying I would reveal all my secrets, and wondering if a large group would wait in line for that. I am going to go with probably not. I mean I probably have a body or two in my closet, along with a few skeletons, but I am not sure any of it qualifies as interesting. So, I have decided to tell a handful of things, that I have never really told anyone. You can decide just how sordid it all is. 1. When I was young, I always wanted to be a lawyer. I even envisioned being a Supreme Court Judge. I would often tell people that. The thing I really never told anyone, was that I often dreamt about being an opera star. Wearing beautiful dressed, and singing beautiful songs. I am not sure why I wanted to do opera, and not country or pop music. Opera it was, and I would even dream about it at night. It is probably a good thing, I never tried to go for that dream. I really have a horrible singing voice, and I would hate to imagine it at even higher octaves. I have only ever regretted not pursuing it once. The day I went to see Phantom of the Opera on Broadway. It was breathtaking. I wished I could be apart of something so amazing. Coulda, shoulda, woulda... I still say I would have been horrible. 2. I suffer from PTSD. Very, very few people know about this, and most of those who do, are my doctors. I have briefly mentioned it to some important people, but I never go into detail about it. I had to have some very intense therapy, for quite a while, to get better to a point, that it no longer controls my entire life. Don't get me wrong, it does impact me and my actions a lot, but I am much better than I once was. It took me several months, to accept my diagnosis, and start the necessary therapy. Not because I was in disbelief, I just always saw PTSD has something, a person who went to war had, and I did not feel I had gone through anything as close to as bad as war. I finally learned that it can happen to anyone, a soldier or not, and war does not need to be involved. I wish I could tell you I was all better, but I am definitely not. I just learned plenty of coping methods, and I have gotten much stronger. 3. Twister is one of my favorite movies of all time. To this day, if it is on, I will watch it. I absolutely love it. For a while after watching it for the first time, I used to be obsessed with tornadoes, and I genuinely wanted to know what it was like to be sucked up into one, and get blown around. Thankfully, I value life, so I never tried to actually find out. If ever given the opportunity to safely ride in a man made twister, I would absolutely do it! 4. I was anorexic once. Crazy, I know. I would only eat unsalted, unbuttered popcorn or plain rice cakes. My anorexia was fueled by my OCD. I ended up in the hospital, and that fixed that. I had a severe fear of needles and IVs, and knowing that if I continued, I would keep ending up in the hospital, was enough to scare me straight. 5. Fourteen is my favorite number. Nobody knows, that my like for the number, started with my first serious crush on a boy. His baseball jersey number was fourteen. So, it became my favorite number. It grew on me, and still, twenty four years later, it is my favorite number. He is also what started my love for guys with red hair and blue eyes. Yes, in case you are wondering, I have a huge crush on Ed Sheeran. 6. I have attempted suicide more times than I can recall. It is not some huge number, I just cannot remember each time. A few people know about one or two of the times, but nobody really knows about it. I did discuss it with a therapist once, and she helped me see, that I did not really want to die, I had just become so overwhelmed with life and feelings, and that is why. She helped me see that if I had really wanted to die, to my core, I would have been successful. It is funny, because after that therapy session, I have not ever really come to that point again. Whenever I feel myself getting overwhelmed to the point of bad thoughts, I just figure out how to overcome the stress. It works. It is not a miraculous thing, but it does work, as long as I work the process. 7. I had PPD after Gigi was born. It was terrible. I suffered in silence. 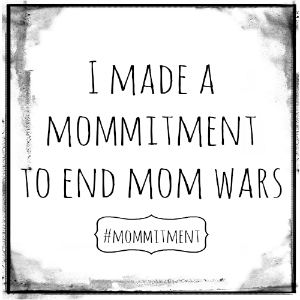 Going through it, and feeling how I felt, has led me to encourage moms to speak out. Not be ashamed of their PPD. Get help. It is not something anyone should endure alone, in silence. I have always been one to shoulder my issues alone, and do whatever I have to, to survive life. However, going through that, and coming out of it, taught me that sometimes, it is better to let others in, and ask for help. Mothers should never feel shame, or be shamed. 8. I lived in a house that was haunted once. I am not even joking. You cannot tell me the house was not haunted. There is absolutely NO explanation for the things I saw and heard. I think that house, may be what turned me into a lover of scary movies. Which to be honest is weird, because I actually HATE being scared. Genuinely hate it, but I love scary movies and scary TV shows. There you have it. Some stuff that you now know about me, that really nobody else does. Chad knows so very much about me, but even he would be surprised about most of these things. Do you have any sordid tales or details?! Do not forget to check out all the rest of September's Use Your Word posts. I will meet you there, right after I get some coffee. September's chosen theme is "Rock It! ", and I knew instantly what my post would be about. As I have mentioned in previous blogs, and on my Facebook page, I am a huge fan of the rock painting craze. I pretty much jumped on the bandwagon, as soon as I heard about it. Gigi joined me, and Chad even likes to get involved. If you haven't joined in yet, but you think you would enjoy painting rocks, hiding them, and finding painted rocks others hide, then I recommend you start on Facebook. 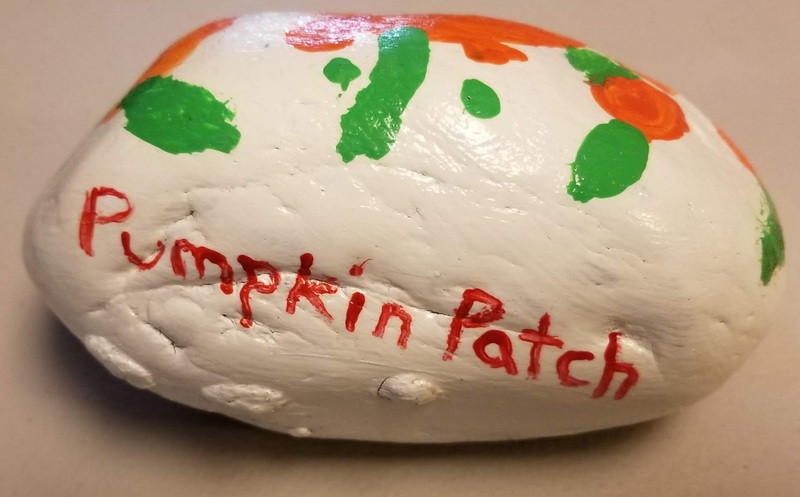 Search in the groups, and find your local rock painting group. 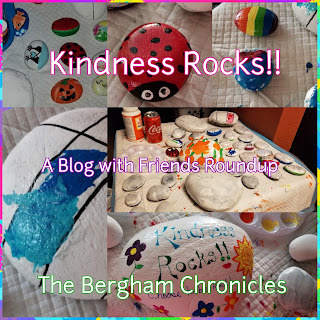 It is usually "(Name of your town/city/neighborhood) Rocks" or "(Name of your town/city/neighborhood) Rock Painting". 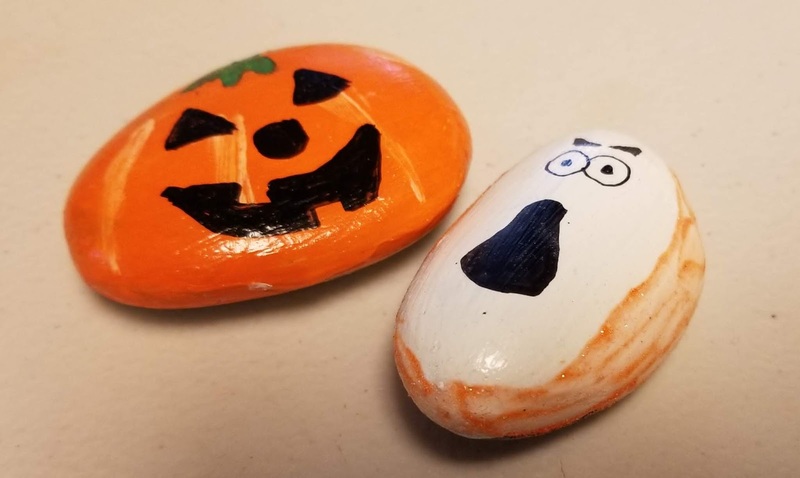 There, you can link up with other local rock painters, get rocking painting ideas and advice, find out where rocks are hidden, see the rocks people are painting and finding, join rock painting parties, and see your rocks after they are found. 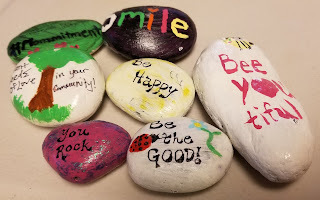 Seeing the happiness your rocks can bring to people, is an awesome feeling. I belong to several local groups, but my main one, is our Manteca Rocks group. It is such a fun and rewarding experience. There are so many talented rock painters out there. It is amazing. I have seen some gorgeous rocks. I have seen some with extremely realistic paintings of people's family members, children, and pets. Whit loves painting rocks, and obviously I do too. It is such a fun thing to do together. Plus, for me, painting is my happy place. I quit painting for quite a long while, because it can be an expensive hobby. The most expensive part, tends to be the canvases. I have yet to have to spend any money on rocks, so free canvases. Plus, if you go to local landscaping places, and local nurseries, you should be able to find rocks for very affordable prices. I can get a huge bucket of rocks for $4, at a local rock place. So, once I need to start buying them, it will still be cheaper than buying canvases. You can paint rocks of all different shapes, sizes, and colors. You should just paint top sides of the rock. The bottom should be wear you put your message. In general messages tend to contain instructions on posting a pic of the found rock on the painter's home rock group, the painter's signature, and possibly a message. I ask them to post to the Manteca Rocks group, I do my regular art signature, and write a short, uplifting message. On smaller rocks, I skip the uplifting message. I recommend using a permanent marker, to write on the bottom of the rocks. To help your art show up well, and your bottom information be easy to read, I recommend doing a primer coat of paint. I tend to do white, but have often done solid color coats, that will go well with my art idea. Examples would be, a green primer coat for a frog rock, or a yellow primer coat for a sunflower. I highly recommend using acrylic paint, but other paints can be suitable, as long as you use a really good sealer. You can get clear spray paint sealants, or you can use Mod Podge. I use Mod Podge. It works well, and makes the rocks nice and shiny. You can also get matte spray paint sealants, if you would rather your rocks not be shiny. Overall, it is just important to remember to put a sealant over every inch of the rock, including your message on the bottom. 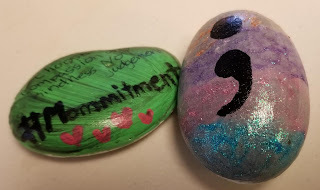 Also, total side note, if you want, you can decorate the rocks with stickers, just be sure to cover them with sealant. Also, I know people who print up their bottom message (group to post in, uplifting message, signature) on address labels, and applies those to the bottoms of the rocks, and put sealant over them. That way, your bottom message is totally legible. 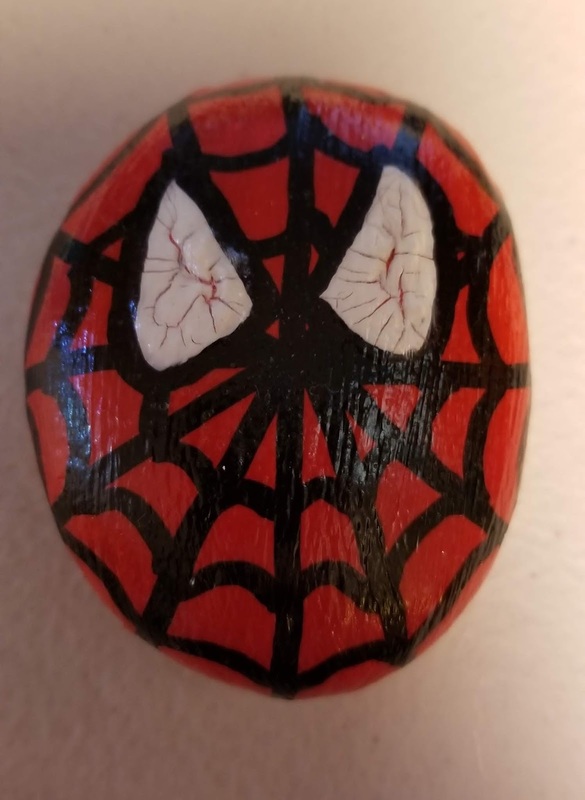 You can paint anything you want on your rocks. Though, I strongly recommend keeping them kid appropriate, if you plan on hiding them. Adults definitely find lots of the hidden rocks, but so do kids. I have even heard of rock finding parties, where parents and their kids, join with other parents and kids, and walk all around towns, to find rocks. Think of it as the rock community's version of Easter Egg Hunts. You can paint cartoon characters, pets, Sports Team's logos, book characters, flowers, movie characters, product logos,animals, insects, super heroes, and literally anything else you can think of. You can also create quilt rocks. This works better with larger rocks, and your message on the bottom will be slightly different. 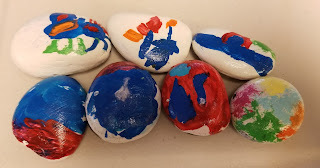 Quilt rocks are rocks divided into sections, and painted one section at a time. The creator paints on section, hides it, and then anyone who finds it, paints a section, until all the sections have been painted. Then it is just hidden like a regular rock. My recommended bottom message for quilt rocks: Quilt rock: Once you find it, paint another section, and hide again. Once all sections are completed hide as usual. Post on Facebook in (Name of your rock group). Signature. I don't recommend including an uplifting message, so there is enough room for each new painter to add their signature, if they want. However, you can do your rocks any way you choose. 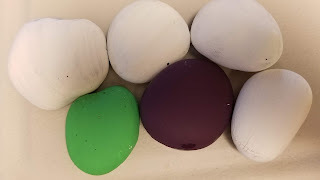 If you want to start a quilt rock, you should go ahead and divide it into the sections, and paint your section. Be sure to seal your section and the bottom, before you hide it. The general rule for rock painting and hiding is.... 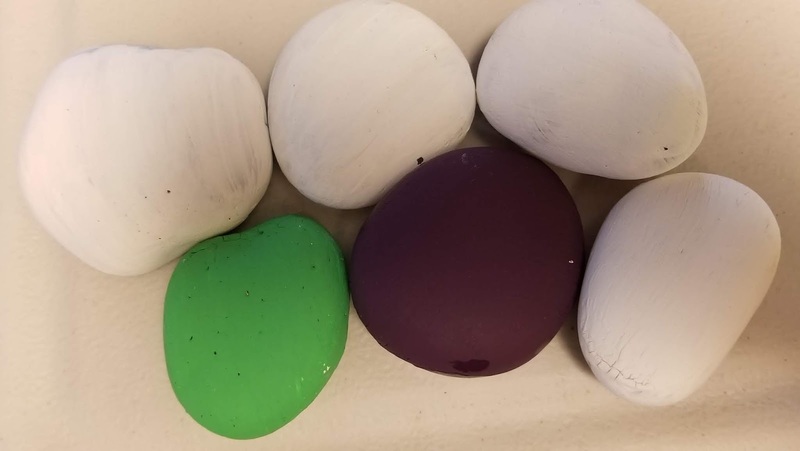 Paint and hide rocks. When you find a rock, enjoy it. 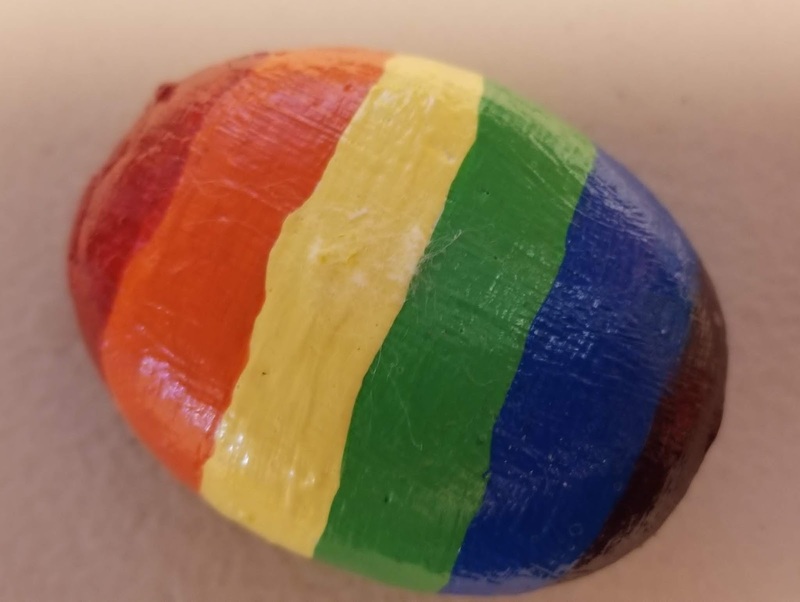 Then you either keep it, paint another rock to replace it, hide the rock you painted, or simply just re hide the original rock you found. It is considered kind to post a picture in the group listed on the bottom of the rock. 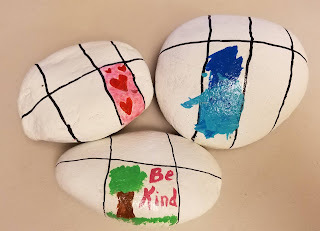 You do not have to re hide rocks near where you find them. Some people even bring rocks on trips, and hide them in totally different towns/states/countries. I recommend painting your rocks in stages. Allowing complete drying between stages, and always finish them with a sealant, letting it completely dry, and then hiding it. The general rule is to hide rocks outside, not inside stores and businesses. You can hide then in parking lots, but aim for places that are visible, and safe for the finder to access. It is best to hide them near schools, but not on school grounds, unless you get permission from school staff. If you initial layer of paint cracks, you can paint over it, to fill in the cracking, or you can just put a sealant on, and go with it. You can get paints at affordable prices, at Walmart, Target, Joann's Fabrics, Michael's, Hobby Lobby, Dollar Tree, and just about any store with a craft section. I recommend buying acrylic paints, some tempera paints, glitter paints, stickers, paint brushes, and your preferred sealant. I love getting the glitter poster paints, at Dollar Tree, and adding bits of sparkle to my rock. As long as you let the paint dry completely, and use a good sealant, you can use almost any paint. I do not recommend water paint or washable finger paints. Just paint. Hide. Find. Have fun. Spread joy. Find joy. Be kind. Spread kindness and cheer. I would absolutely love, if you show me any rocks you paint. You can share them with my on my Facebook page. If you need any help, just let me know. 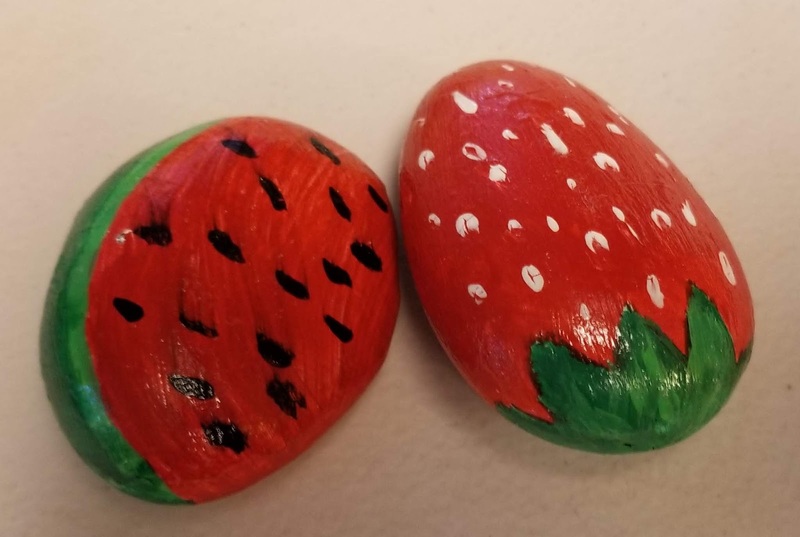 Here are some of the rocks Gigi and I have painted recently. I especially love her Pumpkin Patch rock. As you can see, we use rocks of all different sizes. 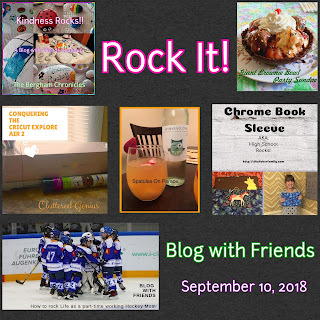 Make sure you check out the other blogs, participating in September's Rock It Blog with Friends round-up!! Welcome to September's Secret Subject Swap. 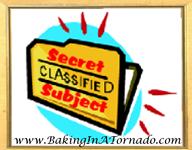 This week eight bloggers submitted a secret subject for someone else, and were assigned a secret subject, to interpret in their own style. Today we are all simultaneously divulging our topics and submitting our posts. I wish I had some profound thing to reveal. I don't. I was raised by my father, for most of my life, and then briefly by my mother. I went my own way, during my teen years. Thanks to the cysts in my head, I have a foggy memory, for most things. My Dad said "Buckle up, I love you" when I was young, and we would get in the car. I would say the same to him. He also said "I love you a bushel and a peck, and a hug around the neck" to me so many times. My mom, when referring to a number that was large, she would say "more ____ than Carter has little liver pills". That has always stuck with me. She would also tell me, she hoped I would one day have a kid, and that my kid would give me ten times more grief than she gave me. I lucked out, so far, with Gigi being a pretty great kid. My adoptive mum Rosemary always reminded me, that my hardships did not matter. I would overcome anything. Just offer my struggles up, and keep on keeping on. I think, to be honest, it is what my parents did, their actions, that have stuck with me more than anything they ever said. I did have a wonderful Aunt Helen. She told me to always wearing my good underwear, when going out, just in case I am in an accident, and the rescue workers need to see my undergarments. She also told me that ladies never say fart. To this day, I do not say that word. I say a ton of other words, and most days wish she had added those to the list. I loved her very much, and miss her, but her memory lives on in my heart. So, tell me.... What were you told by a parent/mentor/coach/Aunt/Uncle/fellow human, that has stuck with you all these years?